The title itself is an allusion to the first part of Moses and Monotheism, where Freud puts forward the thesis that Moses was indeed an Egyptian: by culture, nationality, religion… by all that matters. What Peter Sloterdijk does in this rather short book (a mere 80 pages) is to look at the relationship between Derrida and another thinker or writer; he describes this as de- and re-contextualising the great man, naturally enough. Who are these thinkers and writers? Well, the talent on show includes Hegel, Freud, Thomas Mann… and four less well-known men (all are men, as it happens). All seven chapters are quite sketchy and impressionistic; and sometimes the connection (or contextualisation) of Derrida to the thinker in question seems somewhat tenuous. Still, Sloterdijk has an interesting mind (as readers of Terror from the Air will know) and a large part of the fun to be had from the book lies in the author’s own performance, in seeing his mind in action. He also has an interesting diction. Do any of you know what ‘introscendent’ might mean? No? Then how about ‘onto-semiological materialism’, do I have any takers? Now ‘chora’, I know what that is all about, it’s a kind of carnivorous Turing machine; and Sloterdijk touches upon the notion here, albeit briefly. As an example of what lies in store for the blessed reader, let us consider the chapter on Thomas Mann. You might think that Derrida and Mann have little in common; however, Sloterdijk finds a fruitful connection in the figure of Joseph, the subject of Mann’s novel tetralogy Joseph and His Brothers (and of particular relevance here is the third volume). Just as Joseph found a position of influence and power as a reader of signs (in interpreting dreams down Egypt way) so too did Derrida. They – both men – are exemplars, according to Sloterdijk, of the Jewish outsider, the one who comes from nowhere – from the very edge of empire – to a position of pre-eminence. Not much of a relationship between Mann himself, you might say, and I’d be forced to agree. 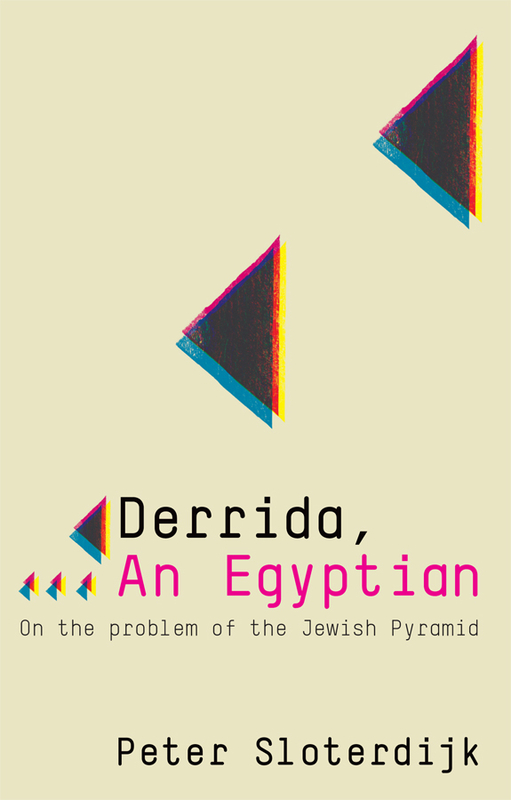 Still, it is an opportunity for Sloterdijk to write about Derrida and his work, especially as it relates to exodus, slavery, the rewards and perils of immigration, and of course the pyramid and why ‘it is built to look as it would after its own collapse’. In its own humble way, Sloterdijk’s book resembles a pyramid, a construct that represents a mesmerising feat of intelligence and imagination.